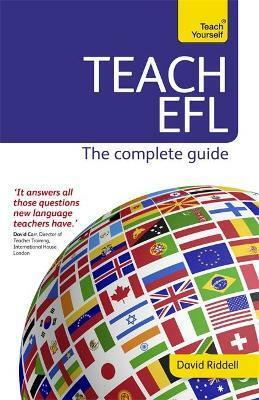 This new edition of Teach EFL is the ultimate practical reference guide to becoming an EFL teacher. "Riddell's book is a classic - it answers all those questions new language teachers have....covers an amazing amount in a clear accessible way." -successful job hunting and career development. -insights from teachers working around the world. -up-to-date information on technology as an aid to learning. -comprehensive information on the increasingly popular task-based learning. -invaluable advice on making the transition from learning to teaching. -clear guidance on ongoing professional development. -useful examples of teaching in different international contexts. Rely on Teach Yourself, trusted by learners for over 75 years. : Topic 1: Saying "Hello"
: 20 Lesson planning 4: What would you do if... ?